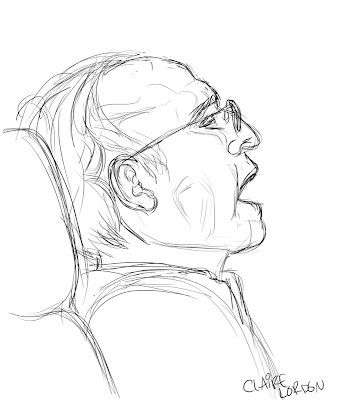 I found myself on an airplane this weekend and decided to make a quick sketch of an older gentlemen sitting across the aisle from me. I drew this on my new Intuos 5 tablet For some reason I found it easier or less intimidating to draw a face on my tablet than with traditional media. 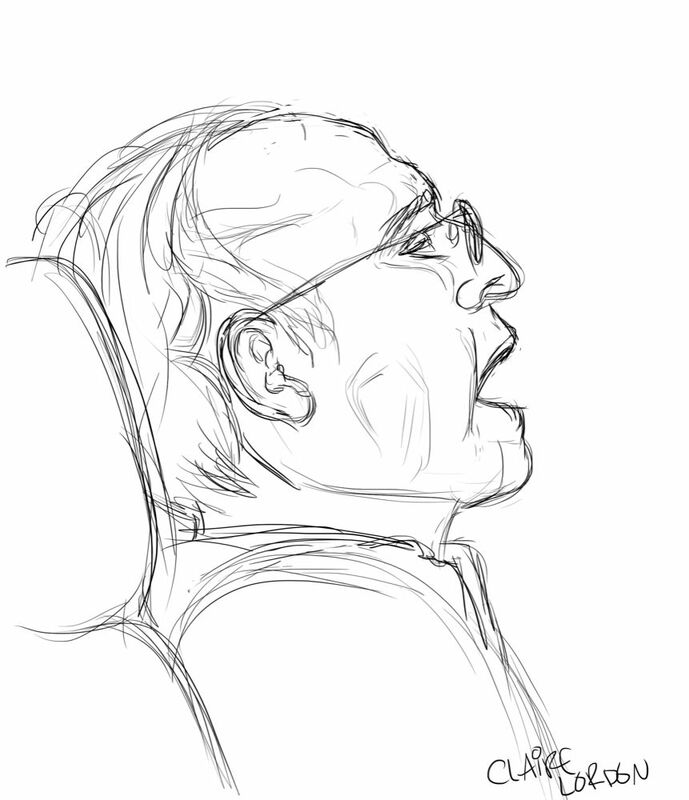 So here is my 5 minute sketch (he woke up).